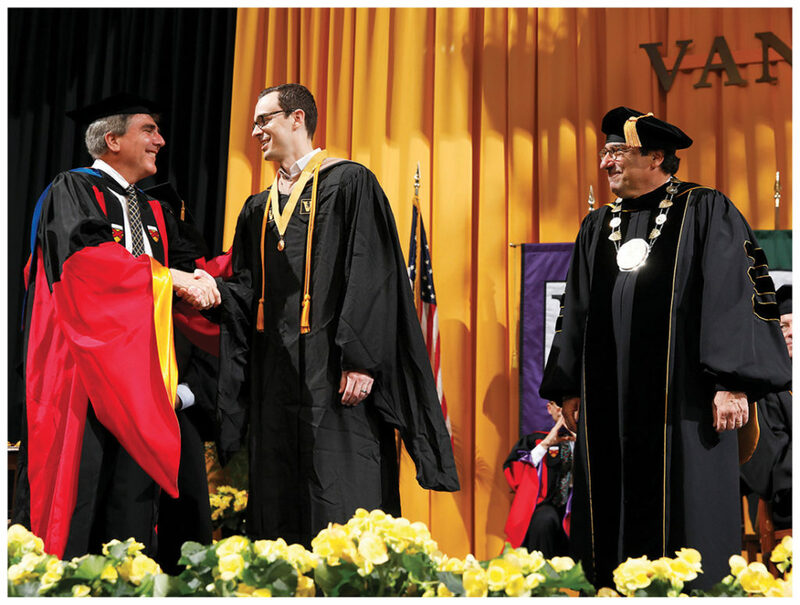 Owen Dean M. Eric Johnson congratulates Founder’s Medalist Aaron Dorn as Chancellor Nicholas S. Zeppos looks on. 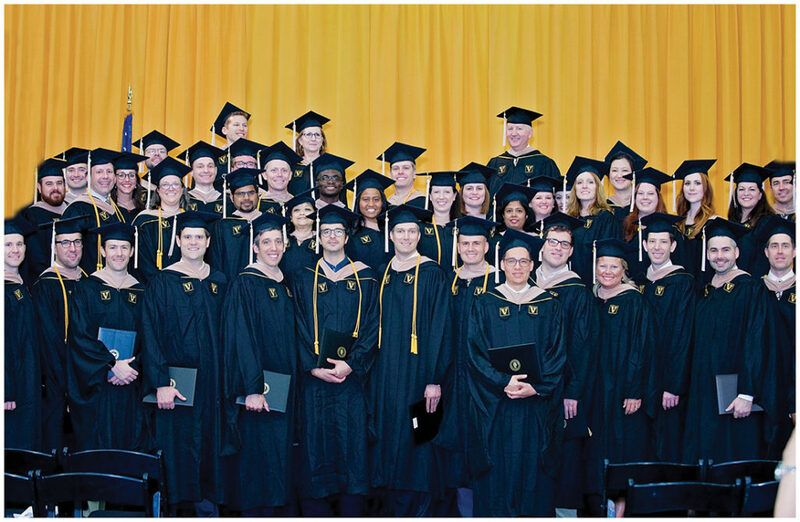 Owen Graduate School of Management celebrated Commencement May 12. 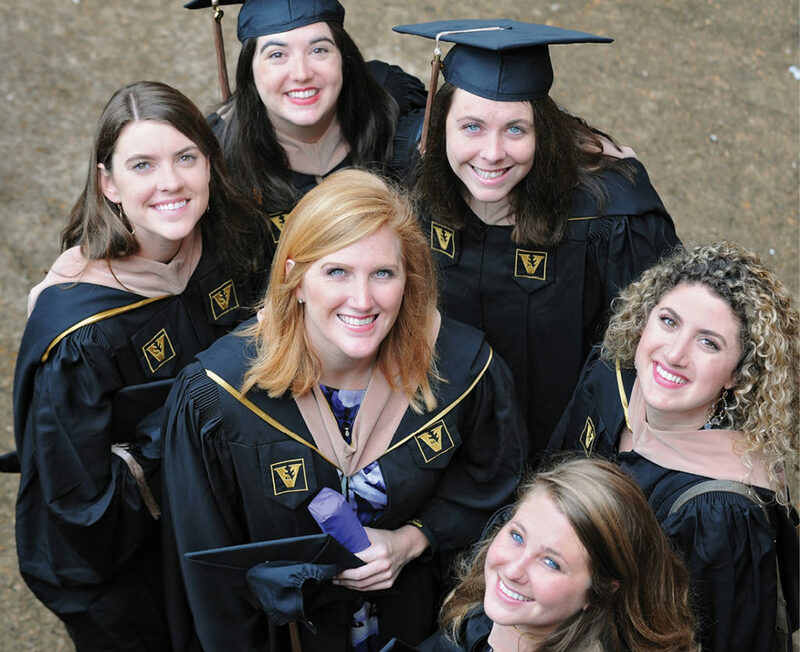 All told, the Class of 2017 received 173 MBAs and 39 Executive MBAs, 48 master’s of science in finance, 47 master’s of accountancy, and 14 master’s of marketing. 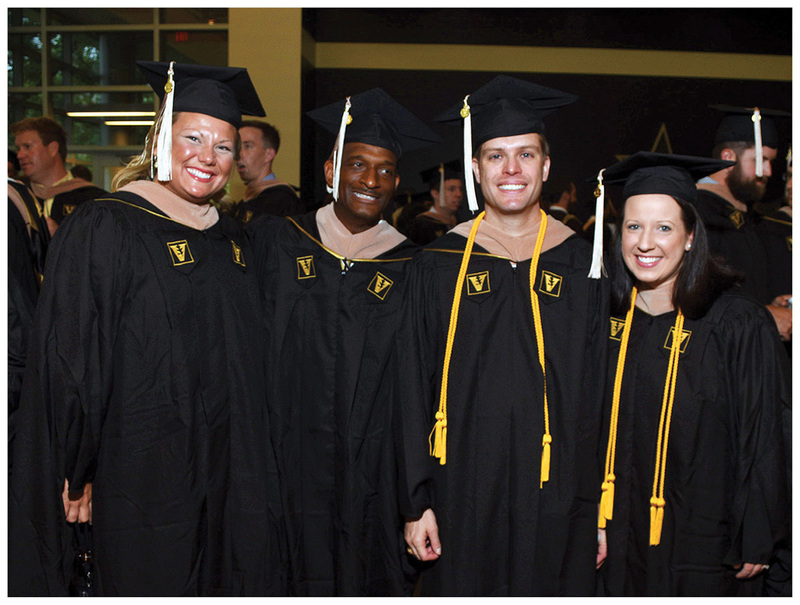 Members of the 2016 master’s of management in health care and EMBA programs also participated. Graduates gather in their regalia. 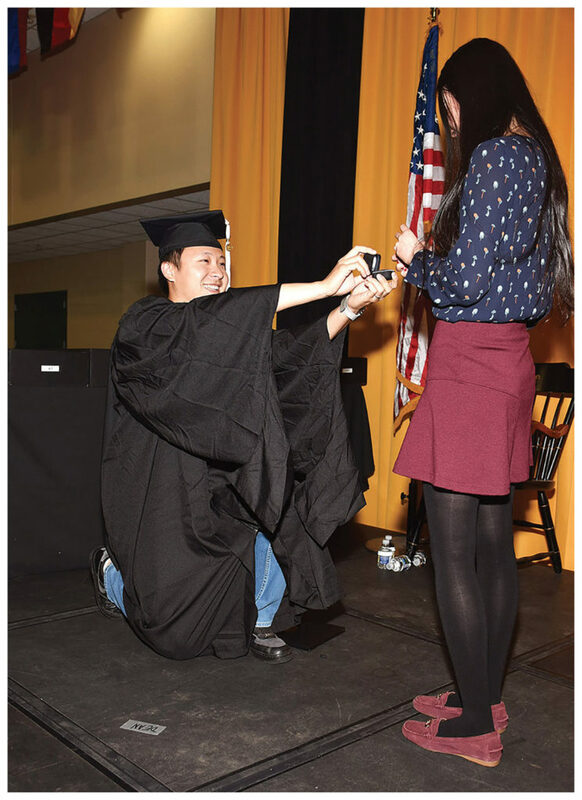 Zheng “Prince” Huang, MBA’17, proposes to Jie “Jessica” Su, MBA’16, after the Commencement ceremony. She said yes! 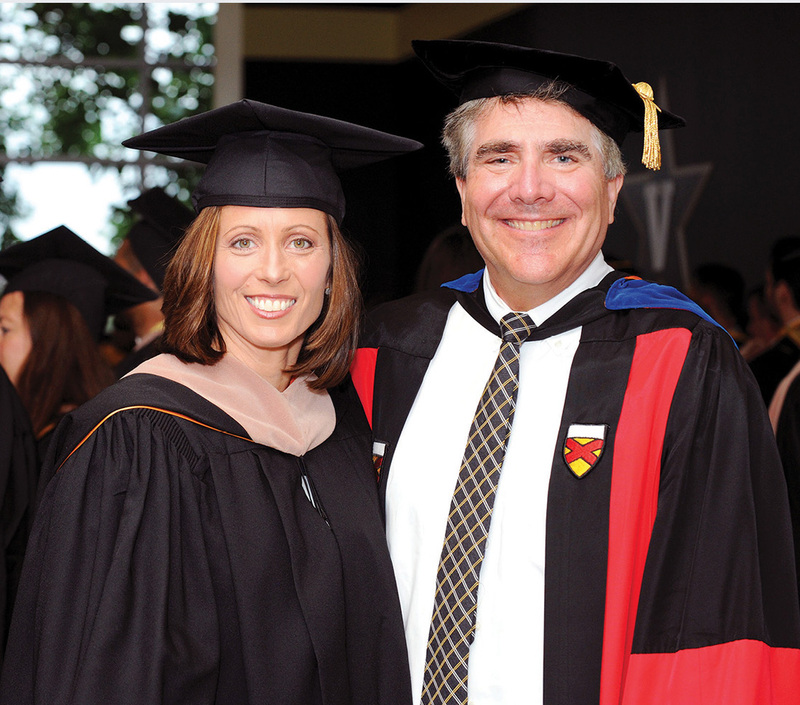 Nasdaq CEO Adena Friedman, MBA’93, and Dean M. Eric Johnson pause before the Owen Commencement ceremony. Soon-to-be graduates gather outside before the ceremonies begin. The 2017 EMBA class documents its status as the first EMBA class to participate in Commencement.